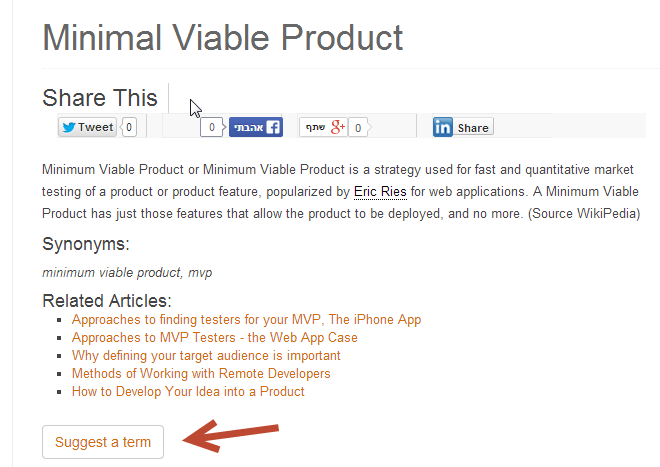 Let your site visitors suggest new terms to your Glossary. Supports moderation and automatic categorization. Logged-in users can manager their own terms. Tooltip Glossary WordPress Community Terms Add-On provides an easy way for your users to add and suggest new terms to your WordPress Glossary. 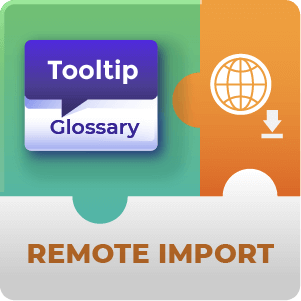 This add-on works for both anonymous users and registered users and allows you to control which individuals or user groups can add new terms to your site's vocabulary. 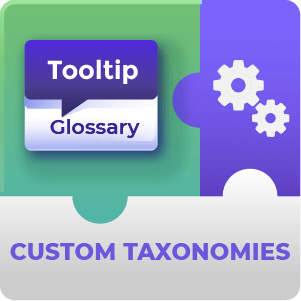 Glossary community addon also includes a moderation system which lets you edit the added terms before they are published. Suggested terms that are authored by visitors will appear in the admin glossary dashboard page with a Draft status until approved by the site administrator. 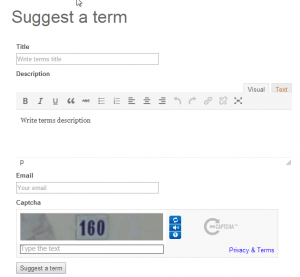 How can WordPress Glossary Community Terms Improve your SEO? 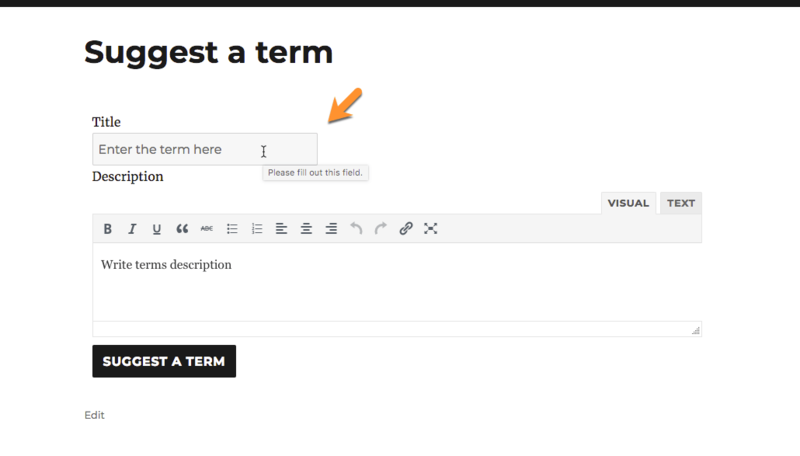 This demo shows a form for submitting new terms to the glossary. Once term is submitted admin is notified. 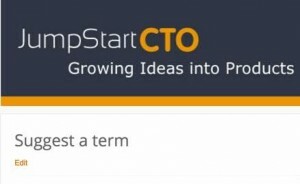 Admin can moderate the term before it appears in the glossary. 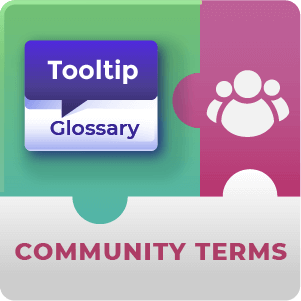 Can I or other admin decide which Community added terms are allowed in the glossary and which are not? 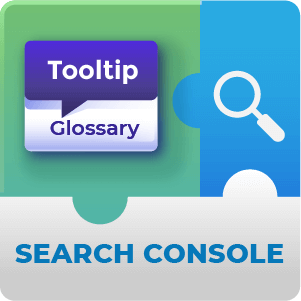 Yes, glossary term moderation is supported. The moderation feature is enabled or disabled through the add-on settings. To learn more about term moderation see this Help article. Can I have scores or rankings / ratings for user submitted terms? Yes, there is an option to enable or disable star ratings within the plugin settings. To learn more about star ratings see this Help article. 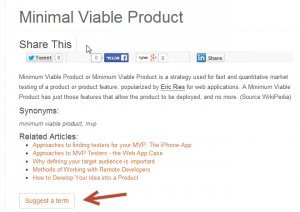 Can I receive notifications when new terms are submitted by site users? 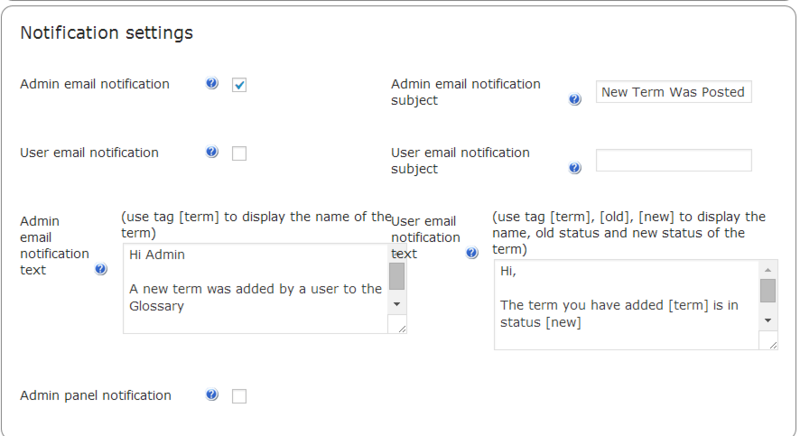 There is the option to receive email notifications and / or admin panel notifications. To learn more about notifications see this Help article. 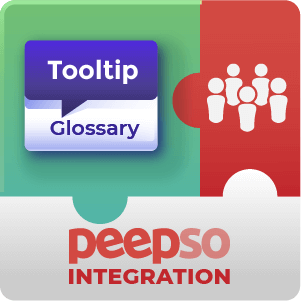 Do site users receive any notification when their submitted Glossary Terms have been approved? 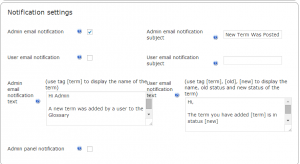 There is an option to enable User Email Notifications. 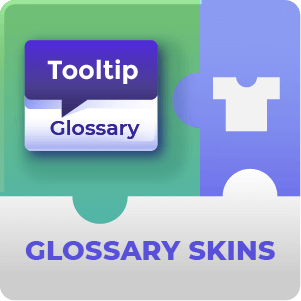 These are sent when there is any status change with glossary terms that they have added to the site. Most commonly these will be changing from Pending to Published status. To learn more about user notifications see this Help article. 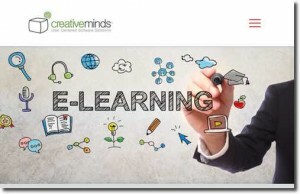 Can I modify the form that site users use to submit Glossary terms to the site? Yes. 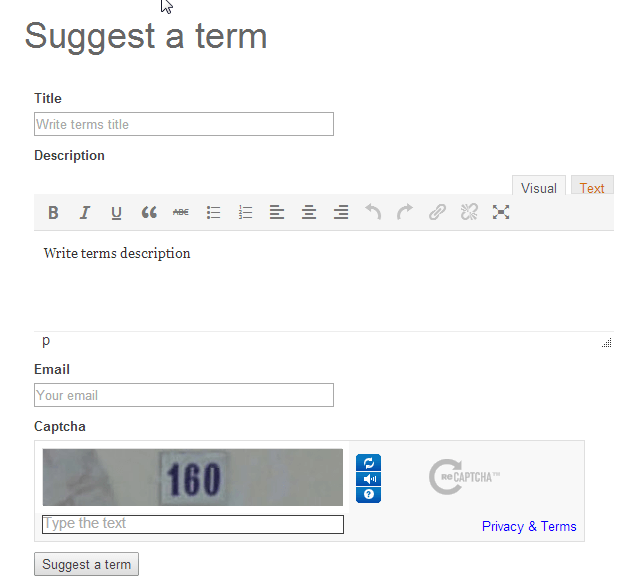 The front end labels that appear on the form can all be customized to suit your preference for how the form should look. To learn more about changing front-end labels see this Help article.